Finally, like other world currencies, Indian Rupee will soon have a distinctive identity. Now this help in distinguishing the Indian currency from rupee or rupiah of other countries like Nepal, Pakistan, Sri Lanka & Indonesia. I’m very glad to let you know that our Indian rupee is now the fifth currency in the world to have a discrete identity. The outstanding design presented by Mr. D Udaya Kumar (Bombay IIT post-graduate) has been selected by the cabinet on July 15, 2010 for Indian Rupee Symbol. Udaya Kumar happily said that his new Indian Rupee Symbol is a perfect blend of Indian and Roman letters – Capital ‘R’ and Devanagari ‘Ra’ which represents rupaiah. He also said that his design is based on the tricolour, with two lines at the top of the symbol and one white space in between them. 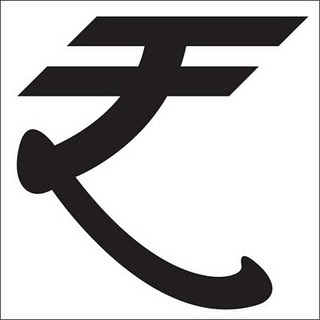 Though this new Indian Rupee symbol will not be printed or embossed on Indian currency notes or coins, it would be included in the ‘Unicode Standard’ and major global scripts to ensure that this new Indian Rupee symbol is easily displayed and printed in the electronic and print media. Among currencies with unique symbols, only the pound sterling has its symbol printed on their currency notes. It’s important to download and install it in your computer. Your computer can display new Indian Rupee font only if you download and install our new font from the above link. 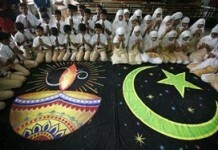 I request all Indians to publish this to all of your friends and in other websites too. Let the whole world to know about our new Indian Rupee symbol and show your love towards India. So share this post about our new Indian Rupee symbol in facebook, twitter, through email, sms etc.